Home / Food Tips / Add Some Sweetness to Your Life… Without Sugar! 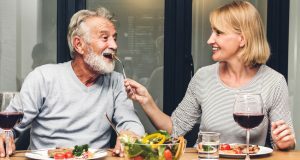 The first thing a physician usually says after diagnosing a patient with diabetes is “No more sugar!” Diabetics must continually be on the lookout for obvious sugars and hidden sugars in the foods they eat in an effort to stay healthy and well. However, many individuals simply cannot go without that sweetness in their morning cup of coffee and use a sugar substitute. While we all know that none of these substitutes are made out of sugar, many people don’t know what they are actually made out of, and don’t realize the vast differences between sugar substitutes. Most are frighteningly dangerous to our health and have devastating effects on our bodies. Aspartame (NutraSweet, Equal, AminoSweet) – Numerous comprehensive studies have shown that aspartame is a major cause of more than 90 serious health problems including cancer, headaches, fibromyalgia, leukemia, seizures, and epilepsy. Aspartame has been found to cause significant brain and liver damage by reducing the body’s main antioxidant, glutathione. Sucralose (Splenda) – A study on sucralose has proven that it actually causes spikes in blood sugar, which has a huge impact on diabetics who are using sucralose instead of sugar in an effort to improve their health. 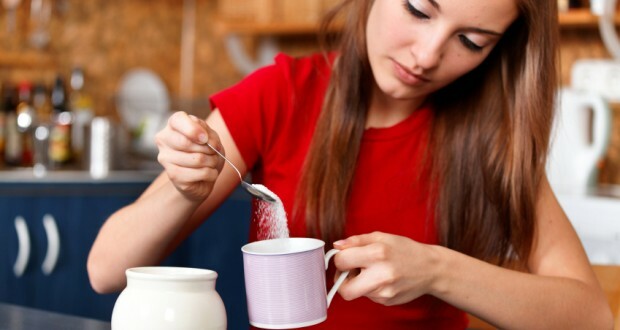 Sucralose also negatively affects the liver, kidneys, and normal digestive system function. Saccharin (Sweet’n Low) – Only recently, has the FDA lifted its requirement for products containing saccharin to list it as a potential carcinogenic ingredient. Saccharin has been most frequently linked to the development of bladder cancer in animal testing subjects. Even though artificial sweeteners don’t contain calories, they have been associated with obesity and diabetes. Researchers believe this may be because the sweeteners increase the “reward value” impact that the foods we eat have on our brains and may cause us to overeat subconsciously. Some researchers also surmise that the huge amount of processed “reward value” foods that are so readily available are the true cause of the obesity epidemic in the U.S.
A natural sweetener we discovered several months ago has become the favorite at our house. It’s called ZSweet and it’s quickly emerging as the leading safe sugar substitute. The ingredients are erythritol (a naturally occurring sweetener) and S. rebaudiana Leaf Extract (an FDA approved stevia extract). With only 6% the calorie count of sugar, erythritol has 70% of the sweetness. Erythritol passes nearly unchanged through our digestive system without any of the effects of excess sugar, and has not been found to cause any of the digestive issues that have been associated with other sugar alcohols and sugar substitutes. In a recent study, when healthy people were given erythritol, there was no change in blood sugar or insulin levels. There was also no effect on triglyceride or cholesterol levels. In a Netherlands research study, erythritol reduced the glycemic impact of foods and beverages and reduced the free-radical damage caused by high blood sugar. 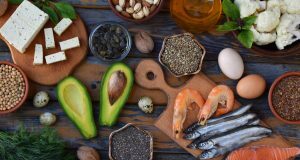 Researchers stated that this revelation is expected to reduce the initiation and progression of painful and life-threatening complications associated with diabetes. Healthy For People With Diabetes: ZSweet is an ideal diabetic food and is a sensible ingredient for diabetic recipes and diabetic diets because it does not increase blood glucose levels. In a recent study conducted by Glycemic Index Laboratories, ZSweet was shown to affect 0% increase in blood sugar levels. It’s a zero calorie sweetener and the perfect food for people with diabetes and those who are watching their blood sugar and sugar intake. You can enjoy the sweet sugar-like taste without the calories. 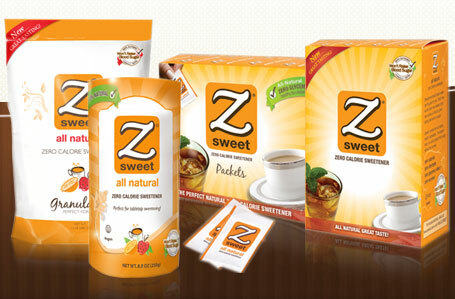 Unlike other artificial or natural sweeteners, ZSweet is truly zero calories and contains NO CARBOHYDRATE FILLERS. An Aid in Good Oral Health: ZSweet has non-cariogenic properties, which means that it helps fight tooth decay! Research clearly established that the use of erythritol (ZSweet’s main ingredient) sweetened foods provides additional help in the battle against tooth decay by significantly decreasing plaque accumulation. Has A High Digestive Tolerance: ZSweet is rapidly absorbed in the small intestine and very unlikely to cause gaseous and laxation side effects. A recent clinical study concluded daily consumption of 1 gram per kilogram body weight is well tolerated by adults as compared to sucrose containing foods. No Insulin Response: As with ANY sugar substitute, research has indicated that by just tasting something sweet, the human brain can trigger an insulin response. Erythritol has not produced this insulin trigger response in any research to date. 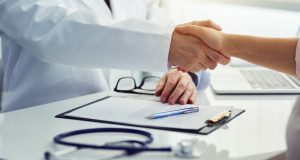 No Health Risks: Erythritol has not been connected to any of the negative health effects or medical conditions listed for the other artificial sweeteners in this article. Use it in any recipe, great for baking or in your morning coffee. We sweeten our fresh brewed green tea with it and it makes for a great sweet tea. For individuals with diabetes, erythritol appears to be an excellent alternative to sugar. Research has overwhelmingly revealed the harmful and frightening effects of nearly every other artificial sweetener and sugar substitute. ZSweet seems to have not only a lack of risks, but a wealth of benefits when used to replace sugar. We were amazed at how much it tastes like sugar and everyone we’ve shared it with has had the same response. I still have some reservations about using Erythritol. If it’s made from corn sugar like so many other products, then it’s a problem. Also I checked the ingredients label of this product. Do you know what the natural flavoring is that is one of the ingredients? I totally understand. Reading your labels is the first thing to do. I am not sure what their “natural flavoring” is. You might try Coconut Palm Sugar or a sugar substitute with oligosaccharides. I have tasted many greek yogurts and boy is there a difference. I want full fat and lots of flavor. When you actually find that it is Ah-mazing the taste difference. I finally found two that I love love love. They are so thick and creamy it almost looks like ice cream. Trader Joes Plain Greek Yogurt and Noosa Plain Yogurt. I use it as my sour cream. I add cinnamon and a little sweetener for a topping on my grandkids Mango Granola “Parfait”. Plain gives you many options and no added sugar. I hope you can find some and try it. You will never go back to the runny, no fat, no flavor yogurt again.